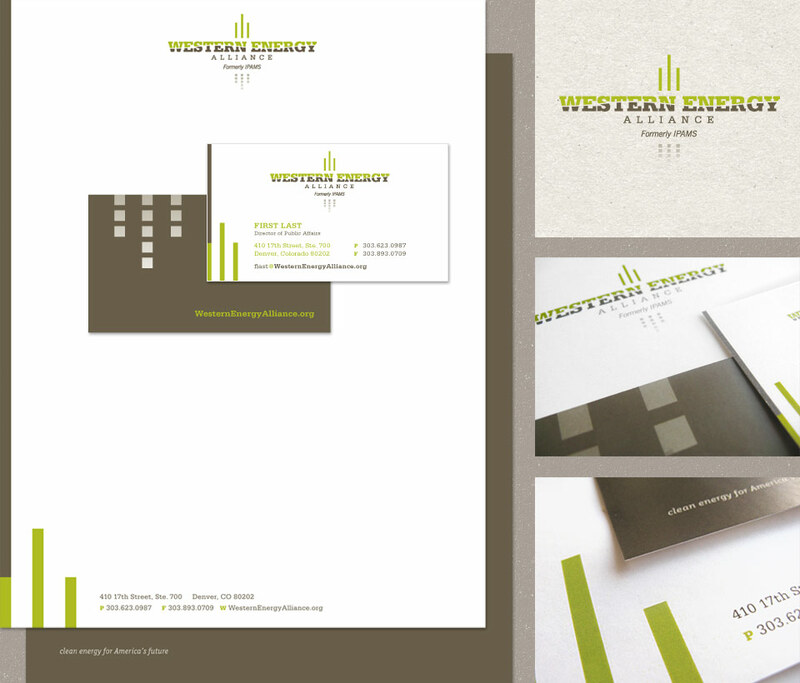 After a series of guided strategic learning sessions, Peak Creative helped this oil and gas trade association take on a new name and brand as Western Energy Alliance. Their updated identity and image has been enthusiastically embraced not only by WEA staff, but also by their 400+ members. The beginnings of WEA's new brand were in the logo, which included elements of oil and gas, land and sea. Identity collateral provided a playground for their energy-production-based brand elements. 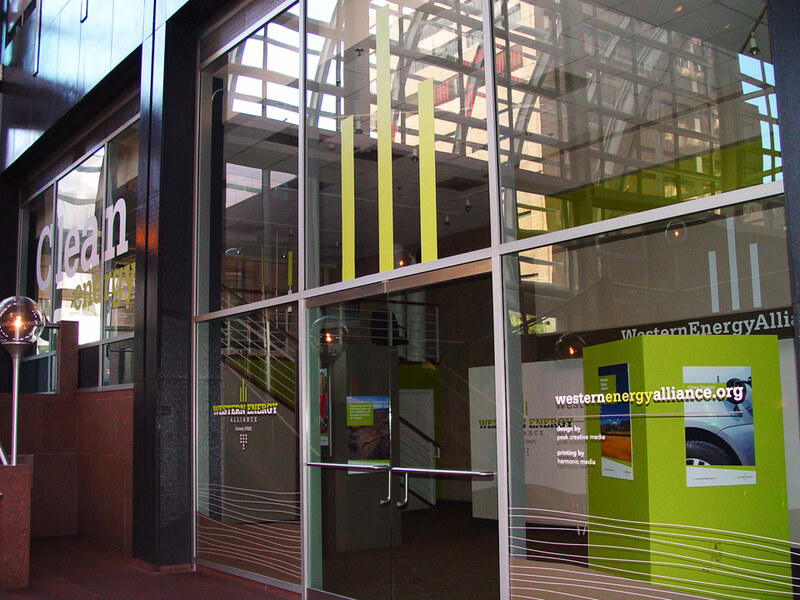 In Spring 2011, WEA embraced an opportunity for a public presence in downtown Denver and asked Peak Creative to tackle the environmental design for their new 1,280-square-foot outpost. Peak Creative brought WEA's color palette and brand elements to life on the walls and windows of the Wells Fargo Center space.